A Bird Out of Water: Tuesday Thrifting = Score! Yesterday I took my mom out on her very first thrifting adventure and discovered she may just be my new lucky charm! 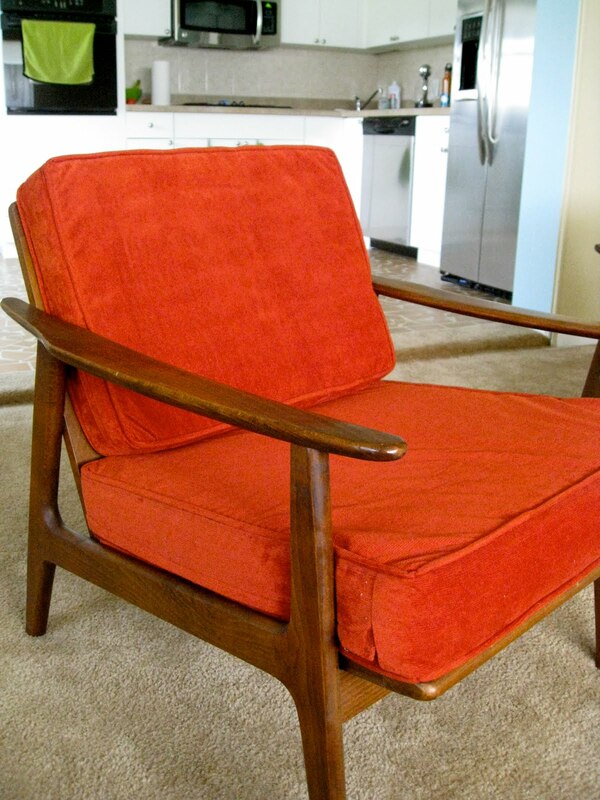 Check out these two amazing danish modern chairs I scored yesterday while out and about! Another tiny purchase I made were these sweet little patches. When I originally picked them up I thought maybe they were Girl Scout badges (hello RVA summer camp!) but I think they are actually travel souvenirs. Either way, I thought these three were definitely worth $2. I'm not sure what they'll be used for yet, but I am sure I'll find something fun! Our day got cut slightly short because I had to go back to work, but it was such an awesome afternoon! What amazing thrift store finds have you happened upon lately? Hope you are all having an amazing Wednesday! Here the weather is absolutely beautiful! I've got all the windows open and the breezes are flowing, which is just making me love my house right now! Hello Spring!!! those chairs are a seriously amazing score! i just saw some like that in an antique store last week and they were wayyyyyy out of my budget range. john lived out there for 8 years and we have traveled there many many times, and spent the last ten years talking about moving back, but the cost of living just kills! I need some chairs just like those. Could I borrow your mom please? Or just have her send some good chair vibes my way! AH!!!! i love these chairs SOO much. I want them! Hopefully I can go with you next time. We have lots of thrift shops in New Smyrna.